SAN DIEGO — Joseph Driscoll, one of the leading members of Driscoll Boat Works in San Diego, has died. He was 60. Driscoll died on April 2 after fighting a prolonged illness. He was born on Nov. 13, 1957 in San Diego and spent his entire life there. By the age of 16, Driscoll was a part of the family’s boat building and repair business. Soon he worked his way up from scraping boat bottoms to assuming a leadership position with Driscoll Boat Works. The company continues to have a presence in San Diego, operating Driscoll Yacht Sales, Driscoll Wharf, Driscoll Mission Bay Boatyard and Marina, and Intrepid Landing at various locations along the city’s waterfront. Driscoll himself managed Driscoll Mission Bay Boatyard and Marina for 20 years. He also worked with Kettenburg Marine. 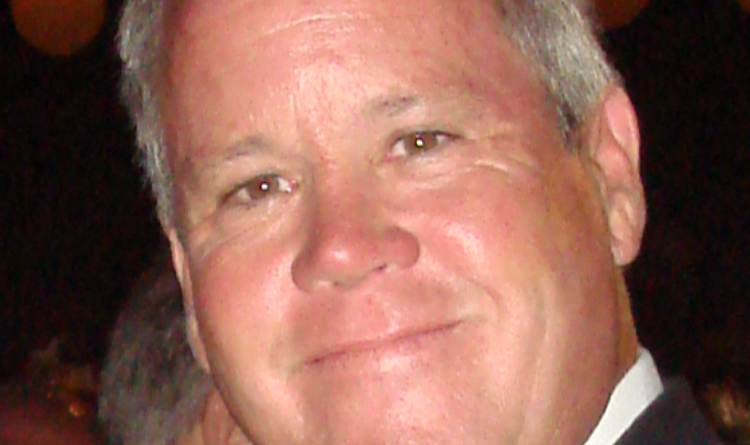 Driscoll was an avid golfer and also spent time on the water with his family. He is survived by his wife of more than 35 years, Lynn, daughter Jessica, grand pup Bentley, sister Mary-Carol Madison, and brothers John, Chuck, Tom and Michael. Sister Cathy preceded him in death several years ago. There will be a celebration of life on Saturday April 21, from 1-4 p.m. at Driscoll Mission Bay 1500 Quivira Way, San Diego 92109. In lieu of flowers, the family requests donations are made to Southern Caregiver Resource Center at caregivercenter.org/donate2.php in memory of Joseph Driscoll. Driscoll Boat Works was founded in 1947. Joseph was a great mentor and wonderful to work with. He made work effortless. He was an outstanding person and I can say he will never be forgotten! Joe will be greatly missed. It was a great experience working under his management. He was a well rounded business man. Ultimately it will be viewed as major loss to the boating community and the Driscoll company. Joe always believed in second chances. 3rd and 4th for me he was like his sister Kathy in that way dealing with others in a professional way with just the right amount of personalizm and compation I will definitely miss Joe as I do Kathy I am sure there both in the best hands of all now our Lord .